In 2012, I went backpacking solo in Europe for 70 days. Budapest was of course included in my itinerary, but as I was in a funky mood at that time, I never had a chance to go around much except for one day of free walking tour, and one Couchsurfing meet-up at a ruin bar. I don’t regret going there, though. I met a very nice Couchsurfing host (see her story here) and played with her cat, Dormi, most of the time. Still, if I were given a chance to go there again, I would definitely maximize my time in the city. Budapest is one of those lovely old cities that you just have to spend at least a week in to get to know it better. 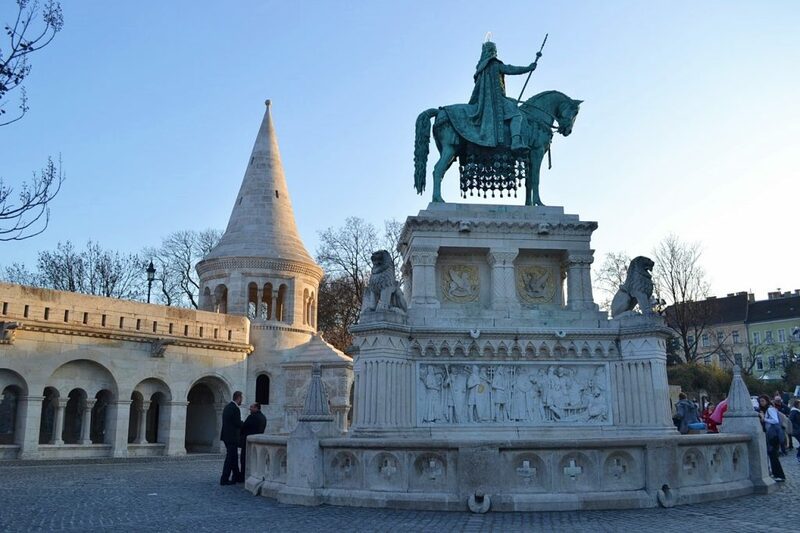 With this month’s Solo Travel City Guide, blogger Barbara Wagner of Jet-Settera brings you some Budapest solo travel tips for when you visit Hungary. Budapest, the capital of Hungary, is a charming capital city in Central Eastern Europe. The country has a long and fascinating history, and tourists will not only have a chance to learn about its colorful history but also enjoy the country’s incredible cuisine, fantastic culture, and vibrant nightlife. Budapest is the ideal destination for solo travelers. It is perfectly safe during the day and even at night too. 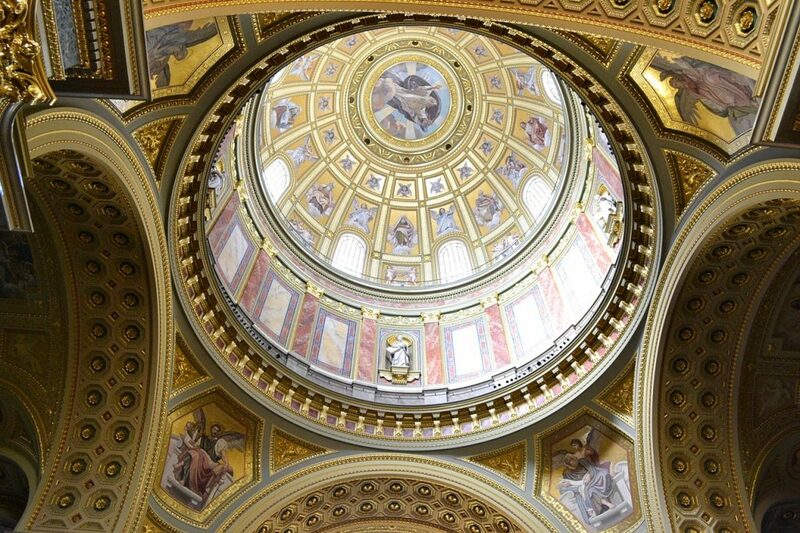 Inside St. Stephens]’s Basilica in Budapest. Strategically situated in the middle of Central Europe, Budapest is really easy to access by air. There are flights going to Budapest from all over Europe and the Middle East. If you want to save on airfare, fly with Wizzair, which is the only airline based in Hungary. If you want to go by land, trains go to Budapest from any major cities in Europe. By bus, you can take OrangeWays and Eurolines. There are daily buses going to Budapest from neighboring cities. These are usually cheap fares, but you should book them in advance. OrangeWays tends to sell out their seats very quickly. If you want to go via car sharing, BlaBlaCar goes to Budapest. Check their website for available cars and ride along with others in a shared car from another European city. Car sharing is most likely the cheapest way to reach this Hungarian capital. It is also easy (and cheap!) 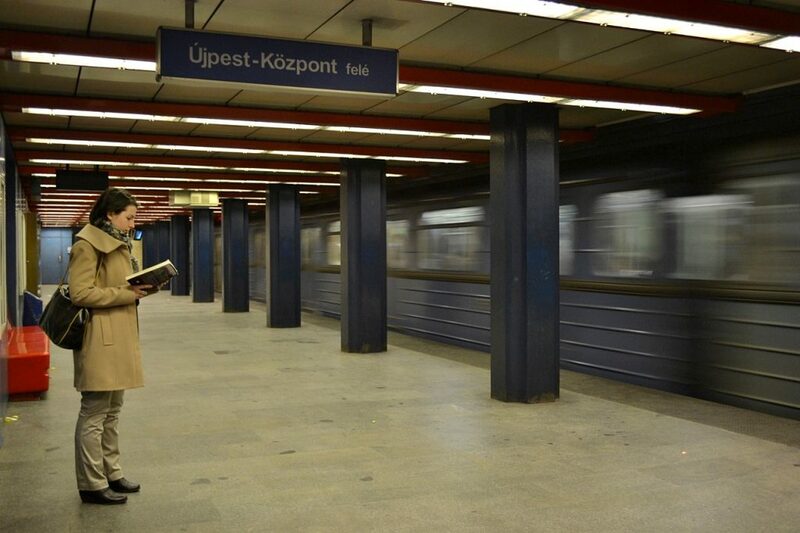 going around Budapest via public transportation. It’s easy to find a place to stay in Budapest. You can choose from the numerous hostels, hotels, or Airbnb. 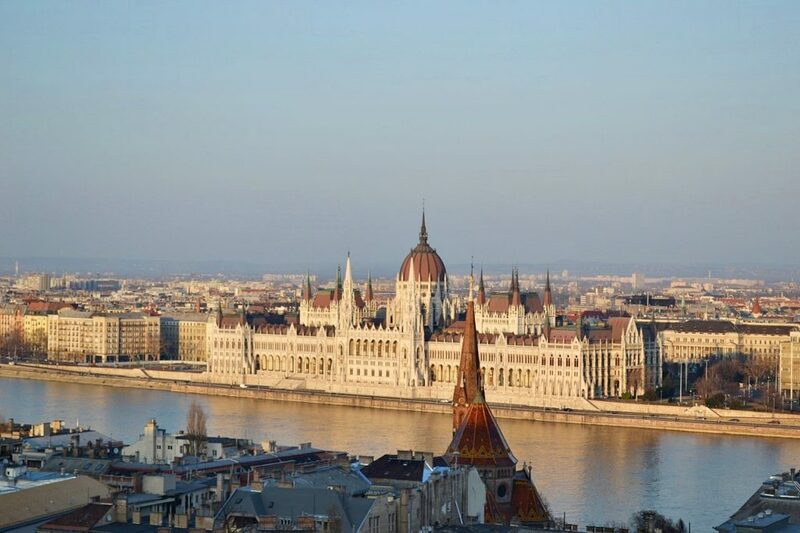 Stay on the Pest side of the city (Budapest is split in two parts, Buda and Pest, by the river Danube.) in District 5, 6, 7, 8 or 9. Make sure to stay within Korut (the grand boulevard of Hungary) as it gets a bit shady outside this area. Staying at an Airbnb is also very popular in Budapest. These are usually the cheapest options, and the units are usually well located and nicely furnished. Many of them are very nicely designed. A statue of Stephen I in the Fisherman’s Bastion. The Fisherman’s Bastion, built to honor the fishermen who defended this part of the city, has one of the best panoramic views in Budapest. It is built on Castle Hill, and features seven turrets symbolizing the seven Hungarian tribes that arrived there in 896 AD. To get to the Fishermen’s Bastion, take the funicular from Chain Bridge, or go on the public bus serving Castle Hill called Várbusz. Details of the beautiful Matthias Church. You can also take the 19th-century cable railway up to the top of the hill, where you can visit the Presidential Palace of Hungary which serves as the National Gallery today. If you love art, make sure to visit the gallery (admission is free). 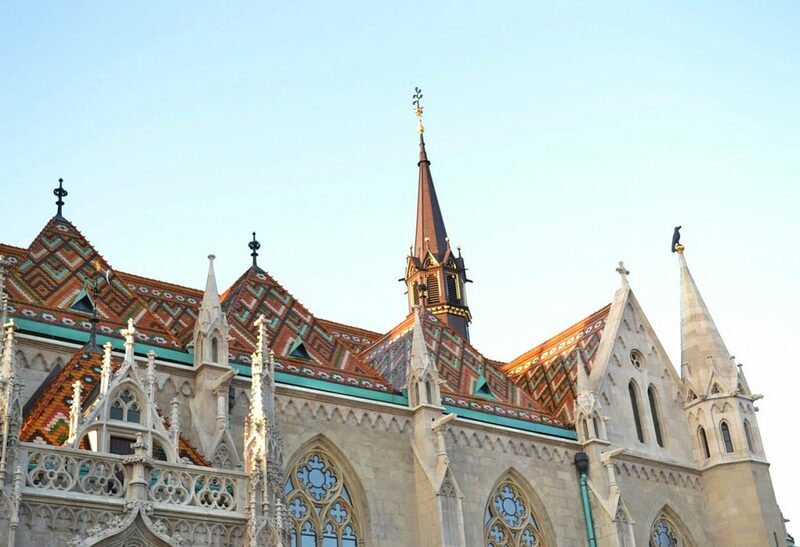 Don’t miss out on visiting the newly renovated Matthias Church. Even the facade alone is worth looking at. 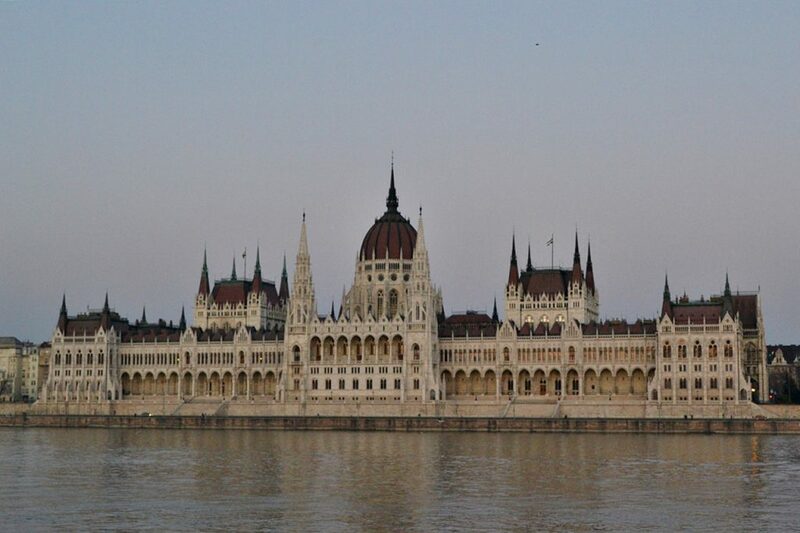 The Hungarian Parliament is a beautiful building right on the bank of the river on the Pest side. This elegant neo-classical building can be seen from anywhere on the Buda side of the city. You can also take a guided tour to visit the parliament inside and to learn about its history. The building is just as beautiful inside as it is from outside. You can buy tickets at the museum across the street from the parliament for the tour. You will have to make an appointment for the tour as these tickets are in high demand. Hősök tere (“Heroes’ Square”) in Budapest. Creative Commons photo by Paul Mannix. 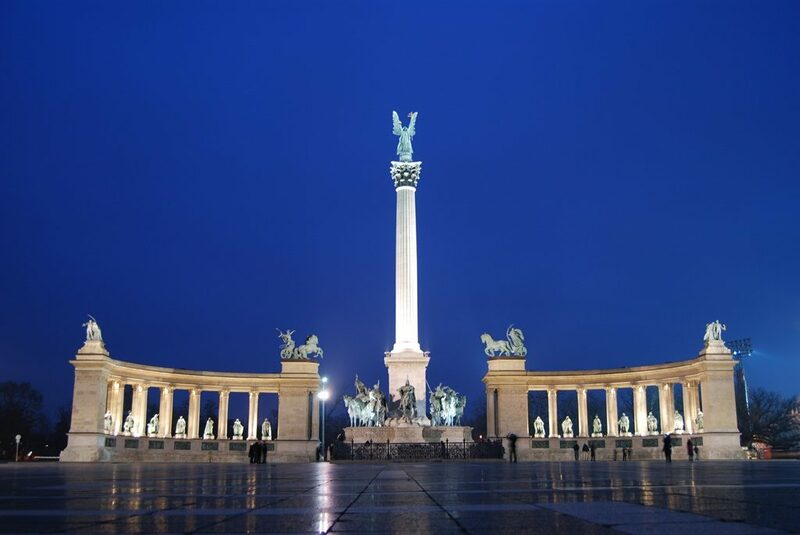 Take the second oldest underground of Europe from Deak Ter to the Heroes’ Square (Hosok Tere). This underground (földalatti) was built at the end of the 19th century, and it is the second oldest in Europe after the London Tube. It became a UNESCO World Heritage site a few years ago. When you arrive at Hosok Tere, you will see the biggest kings of the history of Hungary as well as the leaders of the seven tribes, who came to invade Hungary in 895. On each side of the Heroes’ Square, you will find a museum: the Museum of Fine Arts is on the left and the Palace of Art on the right. Behind the square, you can visit an old castle, the Vajdahunyad Castle. For the best sunrise photos of Budapest, walk up to the Citadel statue to get the best views of the city. Take the tram to the Buda side of the Freedom Bridge and go up to the top of the Gellert Hill. It takes about half an hour to summit this hill. It is not a difficult hike, but you should be reasonably fit to be able to make it up there. From the top, you will see the entire city below you, and you will be able to take the most beautiful photos of the city. Szechenyi Spa in Budapest. Photo by baklava via Pixabay. 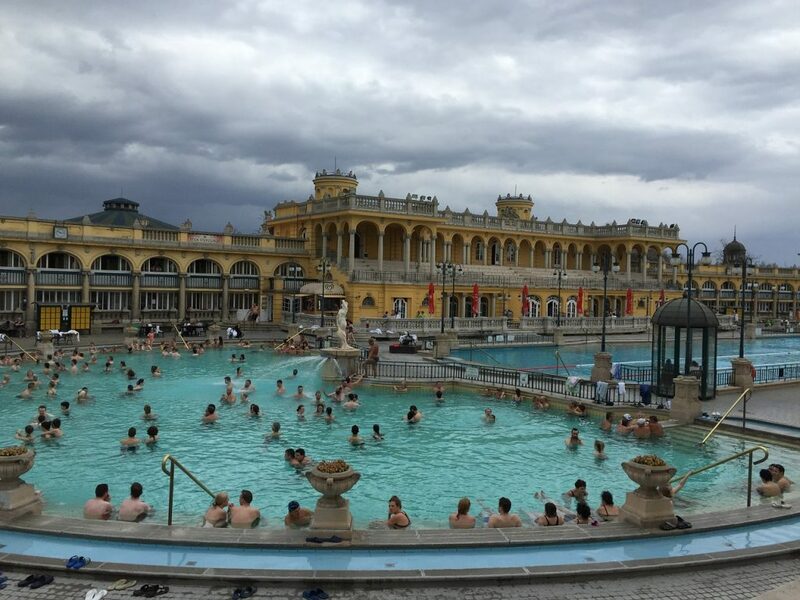 Most tourists visit the Rudas, Gellert, or Szechenyi baths to unwind in thermal water and to enjoy a massage, sauna, and other spa treatments. These baths are somewhat touristy, but they are a must if you come to Budapest. Budget travelers, on the other hand, will like Veli Bej Baths, Kiraly Bath, or Lukacs Bath. These are cheaper bathhouses and more frequented by locals. Party people will want to attend one of the SPArties that are electronic music parties that take place every weekend at the Szechenyi bath during the summer. These parties are spectacular, and I can recommend them to everyone who loves to party and loves electronic music. Emma, the witty guide of Free Budapest Walking Tour. 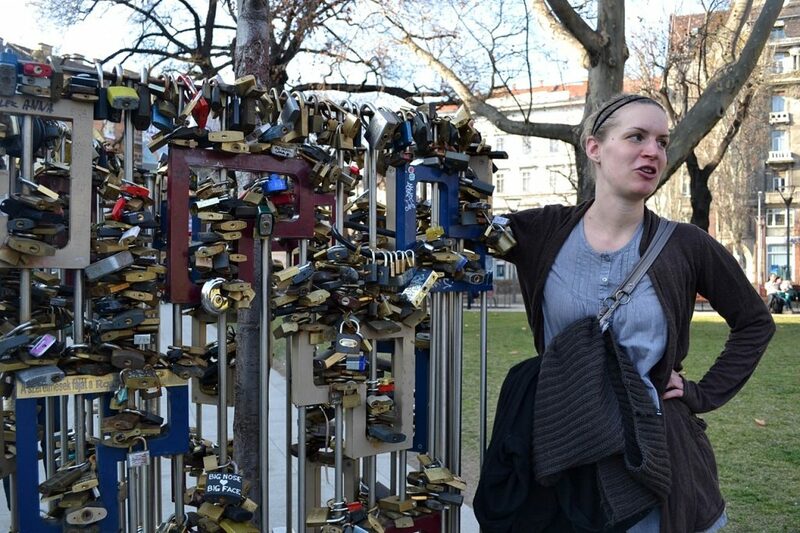 Another thing you can do as a solo traveler in Budapest is to join a free walking tour. It’s not completely free, of course, since you’re expected to give a tip at the end of the tour, but it’s a good introduction to the city. One good one is the Free Budapest Walking Tours. You will start at Vorosmarty Square and then you’ll make your way to St. Stephen’s Basilica and eventually crossing the Széchenyi Chain Bridge and into Castle Hill. Aside from the general city tour, they also offer the Communism Walk and Jewish District Walk. Budapest is a tourist friendly city. It is perfectly safe. There are signs for tourists everywhere on the streets in the city center. 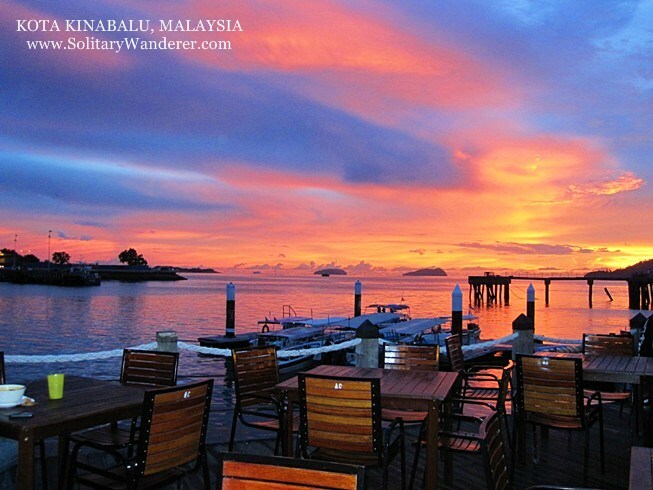 It is an ideal destination for both male and female solo travelers. The local currency is forint (HUF). Make sure to bring some euros or dollars to convert into forint when you arrive. Make sure to try the local specialties like the Hungarian Goulash, stuffed cabbage, roasted duck, and fois gras. Some of the best Hungarian desserts you should try are Dobos Torta, Somloi Galuska, and makos guba. Budapest is an amazing city that has a lot to offer. Whether you are nature, history or food lover, you will surely have an excellent time. The city also has exciting nightlife, great restaurants, and bars (go to a ruin bar!). If you visit Budapest during the spring or summer, you will definitely fall in love with this vibrant city as it will be at its best then. For more information on Budapest, check out Visit Hungary. Text by Barbara Wagner. Photos by Aleah Taboclaon unless otherwise stated. Barbara Wagner is a London-based luxury travel and lifestyle blogger. She left her country, Hungary, when she was 17 to become a model. Since then, she has visited 68 countries and lived in seven. 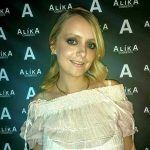 She blogs about some of the most prestigious events around the world such as the Venice and Cannes Film Festivals; Oscar Parties in LA; Fashion Weeks in Milan or Paris; as well as Prince Albert’s wedding in Monaco. She also writes about adventure travel. Read about her latest adventures on her blog and follow her on Twitter, Facebook, and Instagram. 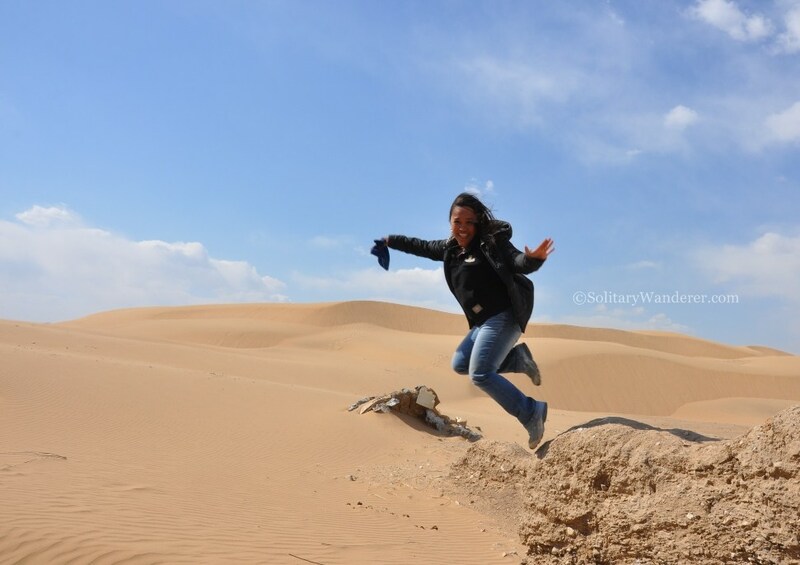 Take a Leap of Faith and Travel Solo! With Budapest not being far off in the distance for me, this post has got me excited. I can just tell this city will be epic! Great to see you on Aleah’s blog! Nice break down here. The Hungarian Parliament building is iconic. And beautiful. We have been meaning to visit Budapest for a while, as I know my wife would go nuts over the baths and I would need to try them too.